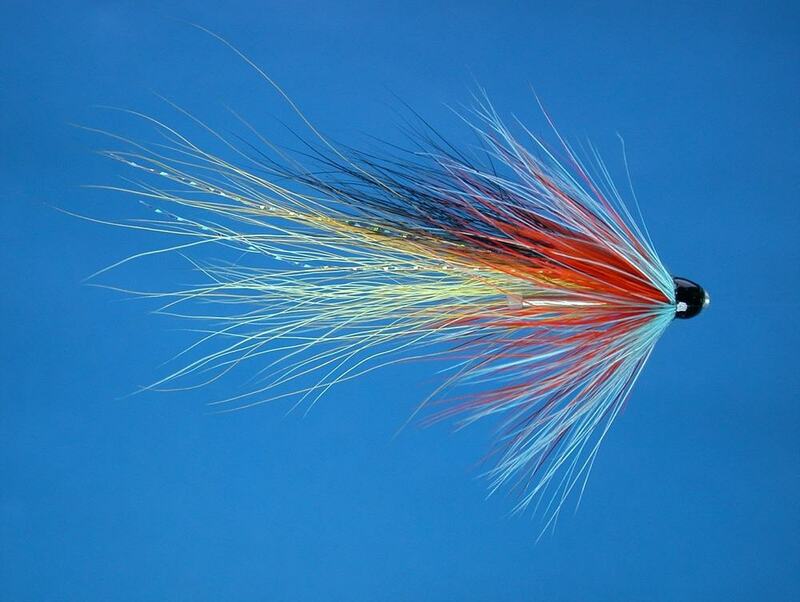 Scottish Shrimps can be dressed on single, double or treble hooks, or on the wide range of tubes now available to the salmon fly tyer. 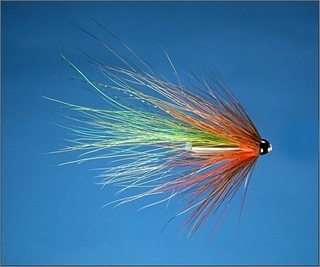 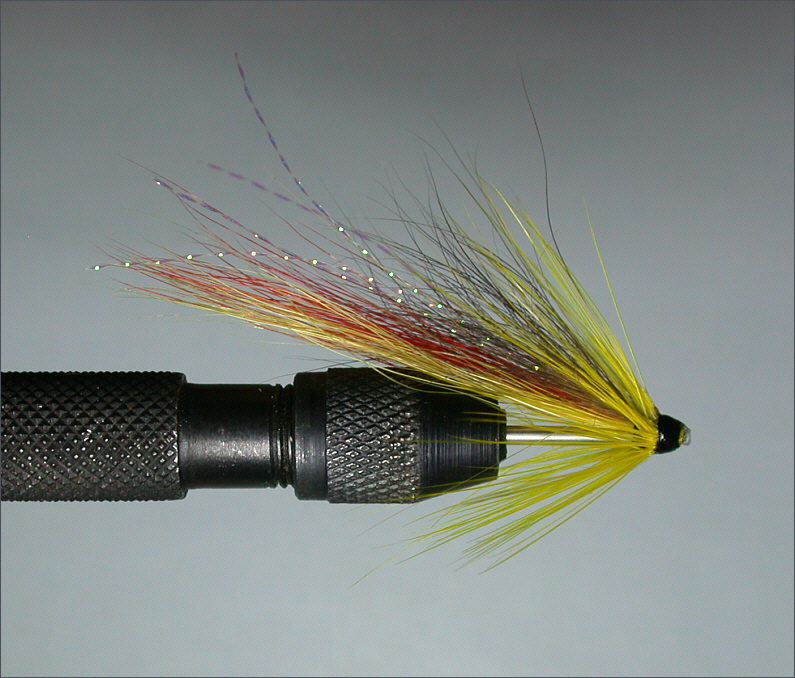 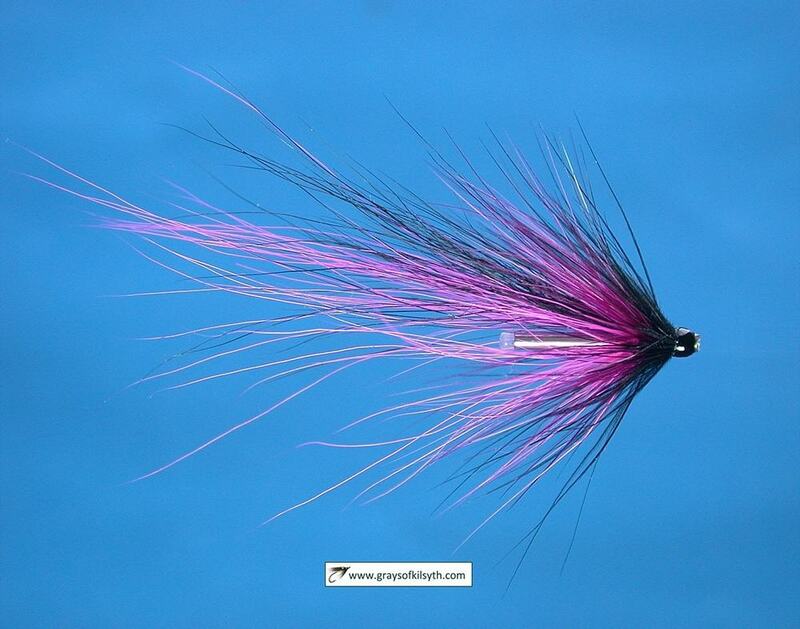 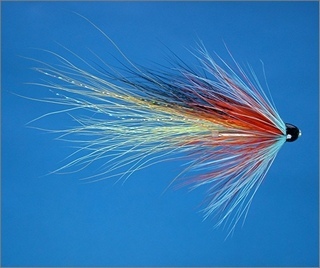 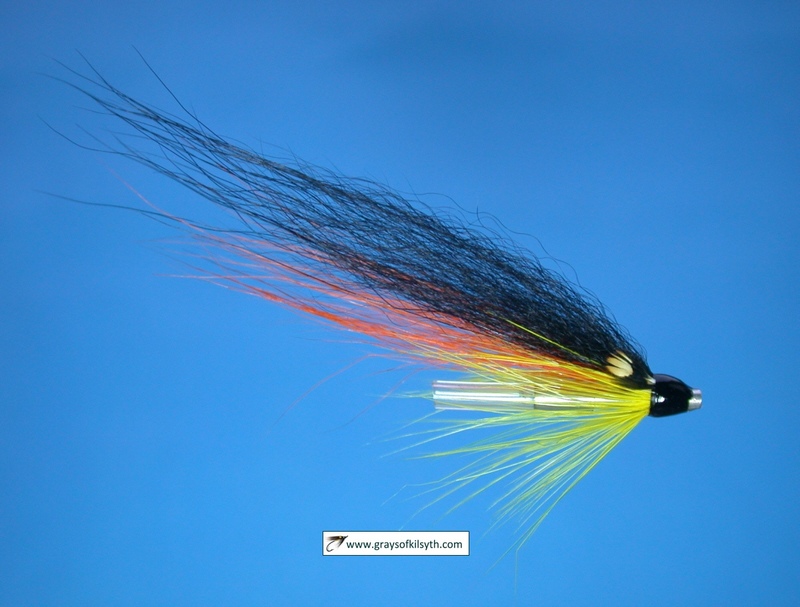 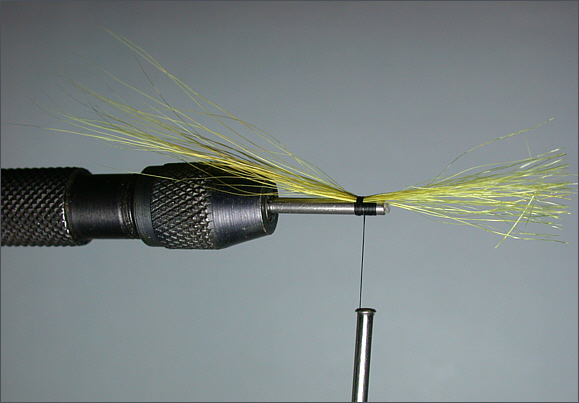 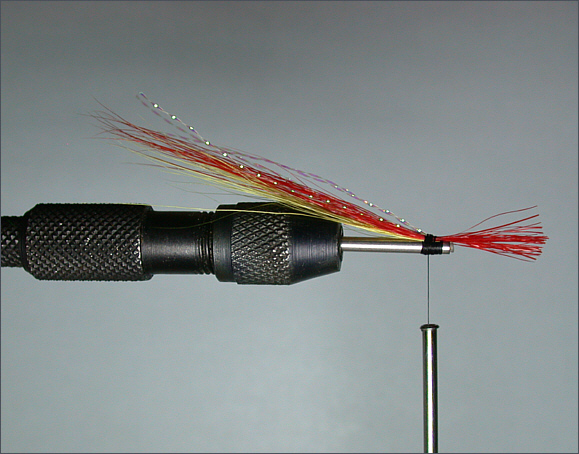 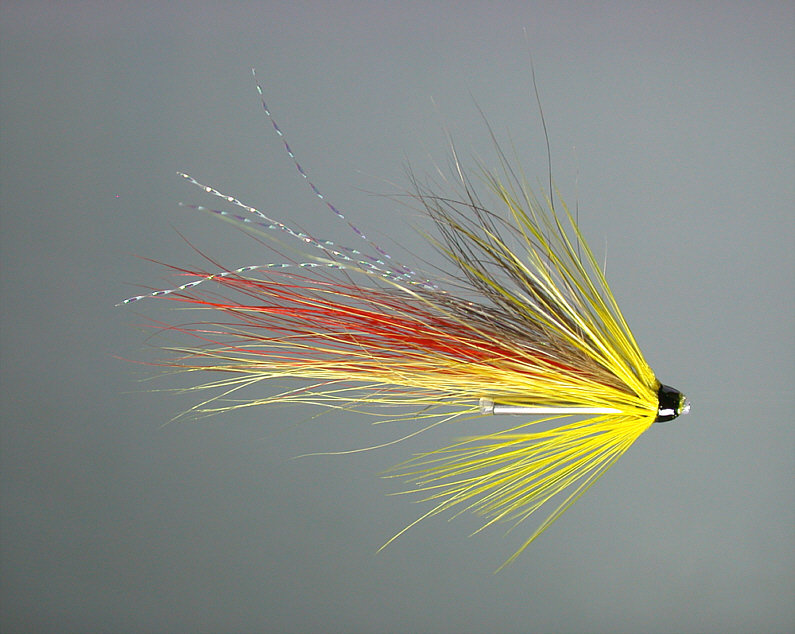 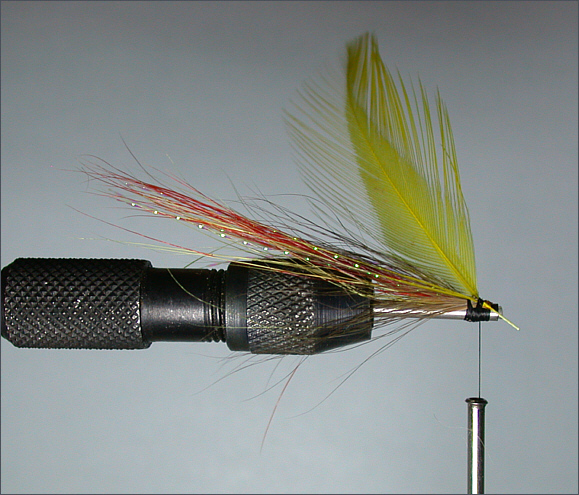 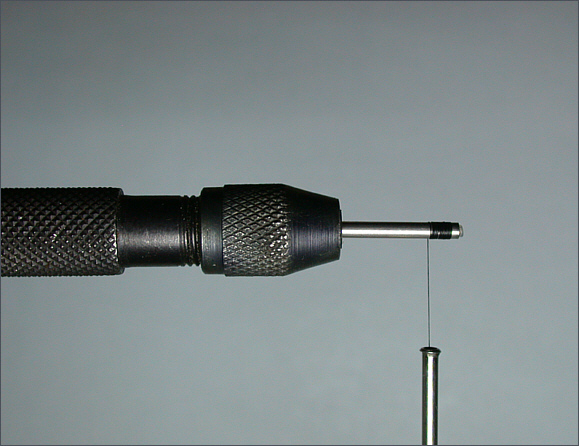 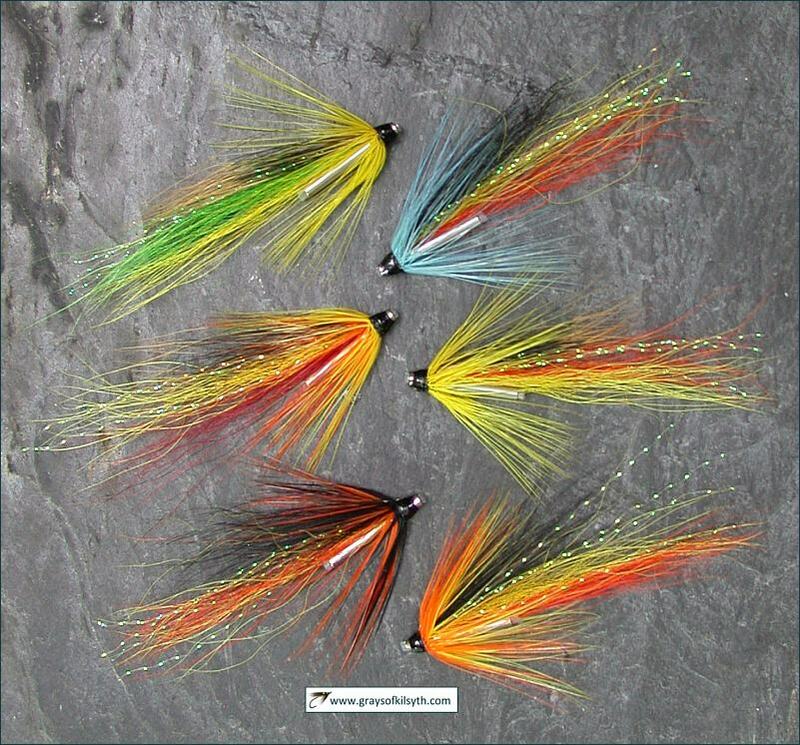 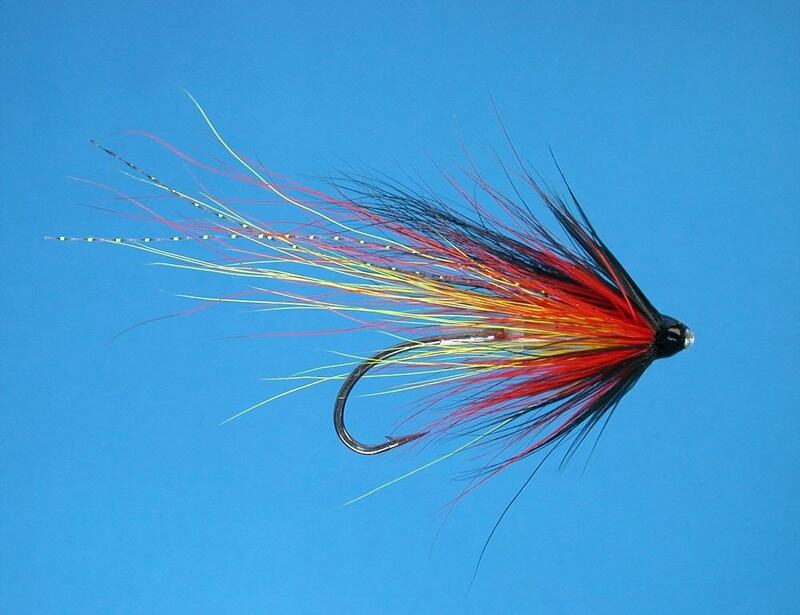 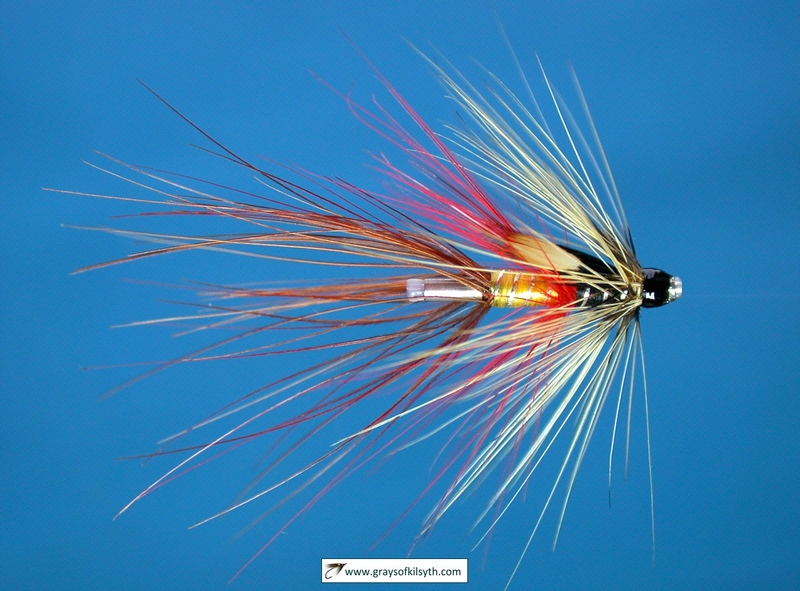 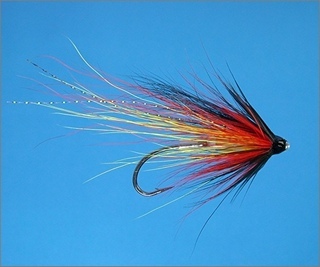 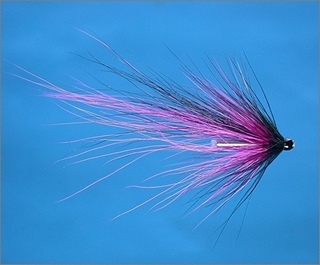 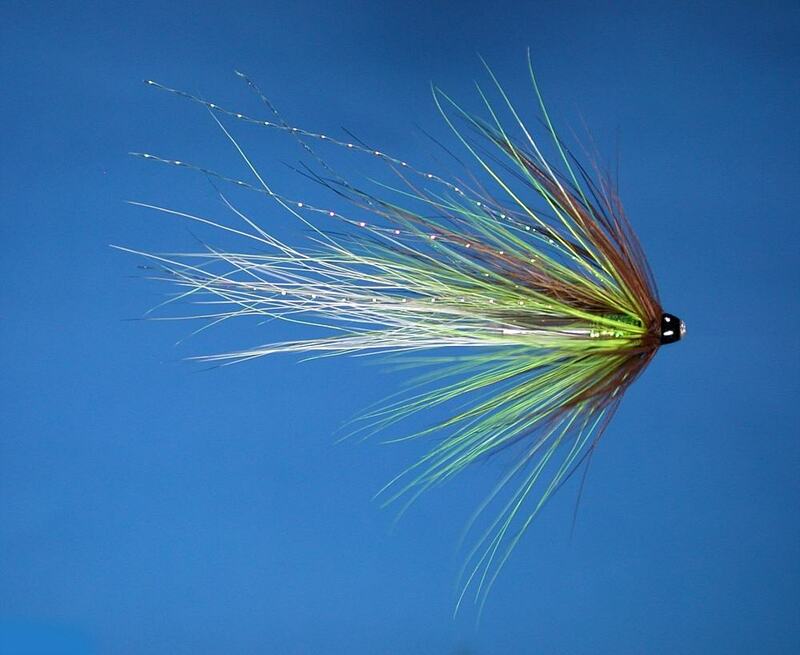 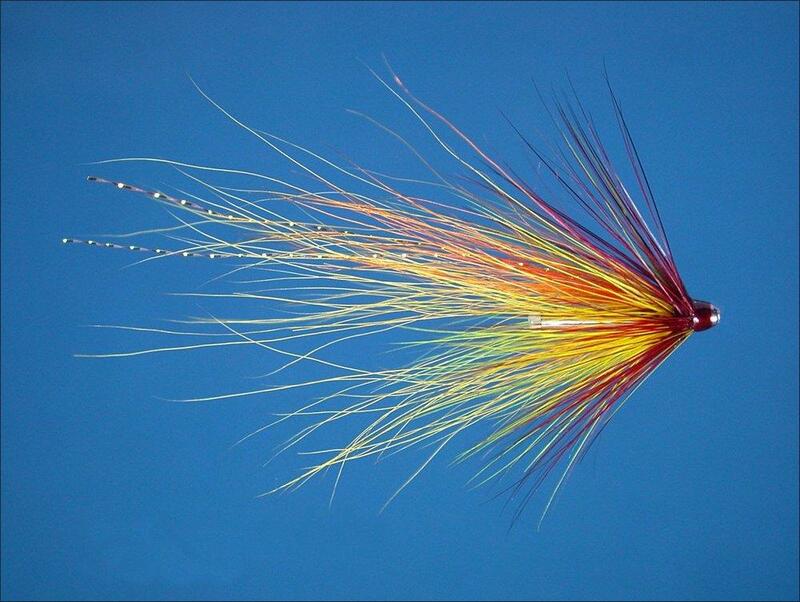 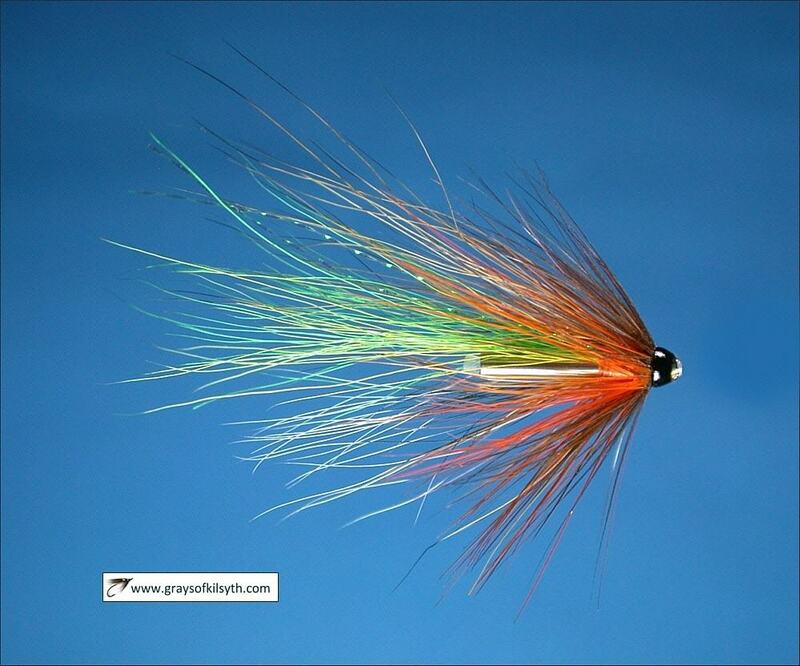 The "Scottish Shrimp" style is very adaptable and even a single change of colour in any of the component parts of the dressing can alter the appearance of the fly dramatically, enabling the fly tyer to dress a range of flies, in various sizes, weights and colours, to suit the varying conditions of water and weather he is likely to meet throughout the season. 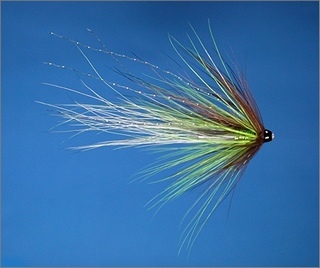 Ally's flies were generally dressed with a two part body dressing, e.g. silver and black in the case of the Cascade or red and black on his Ally's Shrimp. 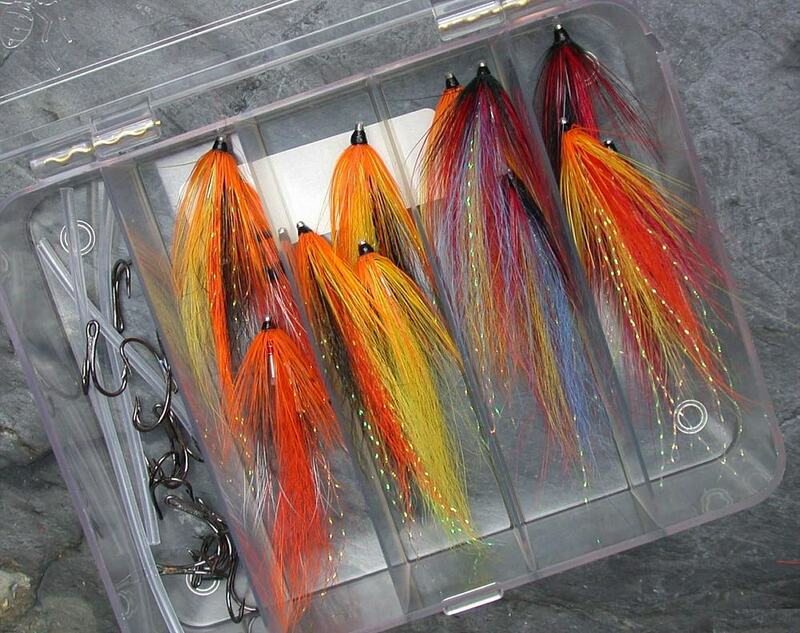 The Scottish Shrimps shown below have been dressed on slim stainless steel needle tubes, making a body dressing, to my mind, unnecessary and thus greatly simplifying the dressing. 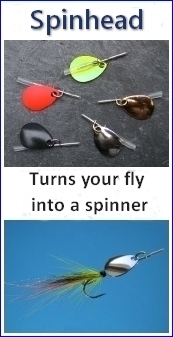 The fly used in the step by step illustration came about by chance. 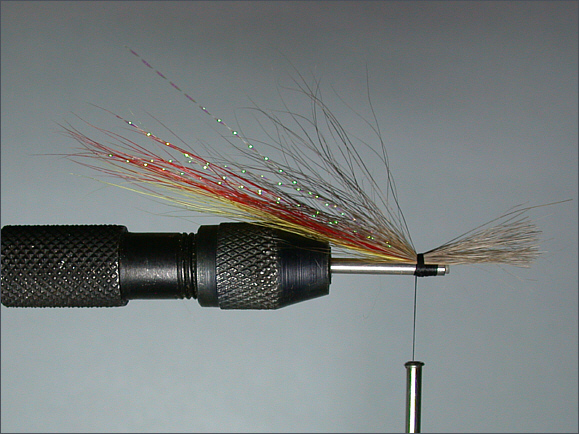 On a recent walk with the dog along the banks of the Spey, I disturbed a buzzard at his lunch of red squirrel. 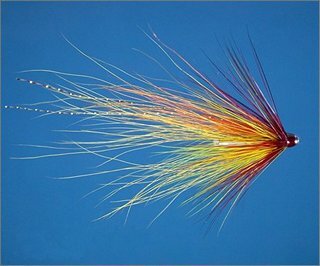 Thinking that he would have little use for the fine brown tail, I stole it and made use of it in this pattern, which I have called the Spey Shrimp, and in several other Scottish Shrimp style patterns illustrated below. 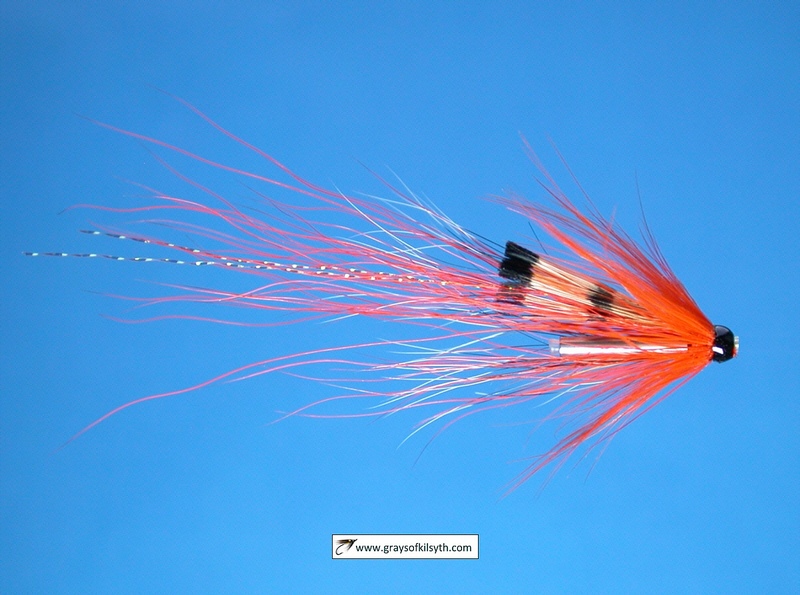 Note: Arctic fox hair, or other fine hair may be used in place of the squirrel.